At just over 55 metres in length, Prana has been crafted in the style of a traditional Indonesian Phinisi (a sailing boat with two masts). It is built entirely of ironwood and teak according to traditional methods. 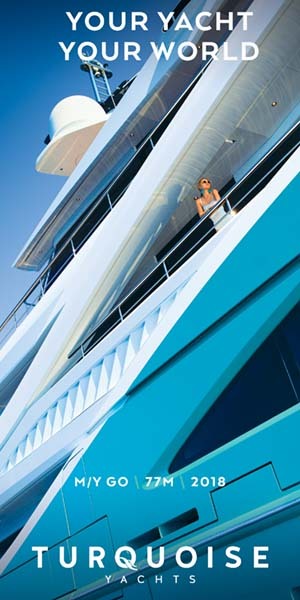 The yacht offers guests space and comfort in nine elegant suites, each with an ensuite bathroom. One of the nine suites is an opulent master suite. Fully soundproofed, the suites are decorated with sumptuous vintage fabrics and contemporary linens. It is a Phinisi complete with all the mod cons of a five-star hotel. Oversized gangways and four spacious decks with king size daybeds offer room to retreat and relax. A yoga deck doubles as an open-air cinema and Prana's main deck has inside and outside living, a luxury spa, a water sports deck and a further suite. opportunity to explore beautiful heritage sites. The cuisine on board includes Asian Fusion and Western dishes. Everything is made from fresh, local ingredients and served by discreet staff alfresco under the stars or in the airconditioned on-board dining room or, Robinson-Crusoe style, on a sandy beach. After dinner, relax at the open-air cinema or indulge in a spa treatment. In the morning, as the wind catches the sails, take a yoga class on the topmost deck – sun salutations will never be the same again. Prana is moored in Indonesia, giving guests access to one of the world's most exquisite coral reefs at Komodo National Park, a UNESCO World Heritage Site, or the prehistoric caves and primordial tribes on the 1,500 islands that make up Raja.